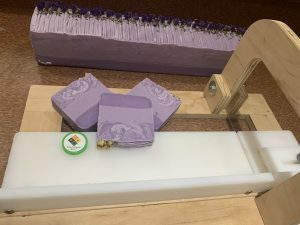 Short Product Description: Soothing eucalyptus, refreshing spearmint, and soft lavender essential oils are blended to create the blissful fragrance of Pure Goat Soapworks’ Tranquility Goat Milk Soap. Tranquility is just as wonderful to use on your skin as it is to see and to smell. 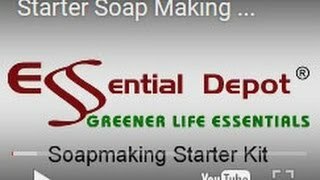 Prepare for soft, silky skin and an inviting shower experience. 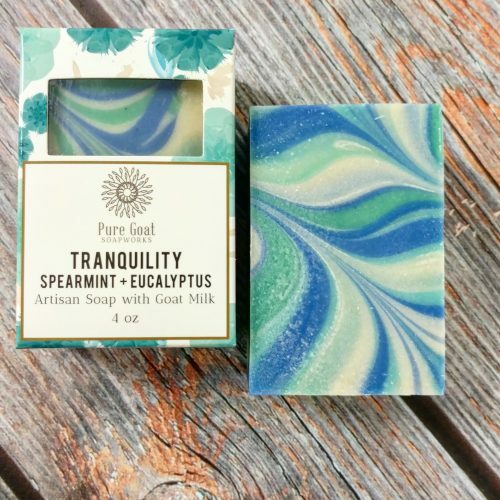 Soothing eucalyptus, refreshing spearmint, and soft lavender essential oils are blended to create the blissful fragrance of Pure Goat Soapworks’ Tranquility Goat Milk Soap. Tranquility is just as wonderful to use on your skin as it is to see and to smell. 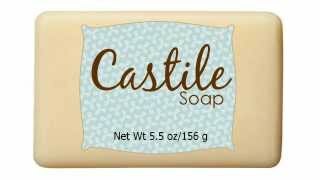 Prepare for soft, silky skin and an inviting shower experience.